Sweat the onion, the garlic, and the celery in the oil. Stir in the tomato and the spices. Cook on low heat for about 30 minutes. 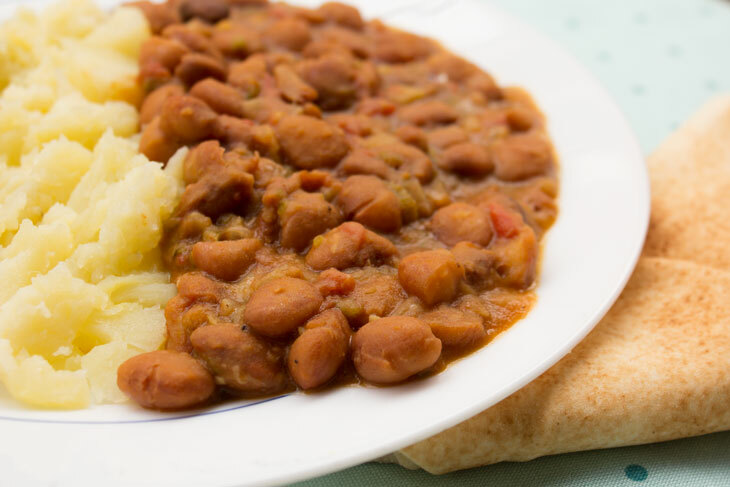 This recipe was inspired by our aunt Anigret's chili beans. Hers contains ground beef; but we loved our vegan version better and that's how we cook it now. Serve this dish on top of rice pilaf or aside mashed, boiled, or roasted potatoes.